My Recap Academia – Chapter 175 – AiPT! 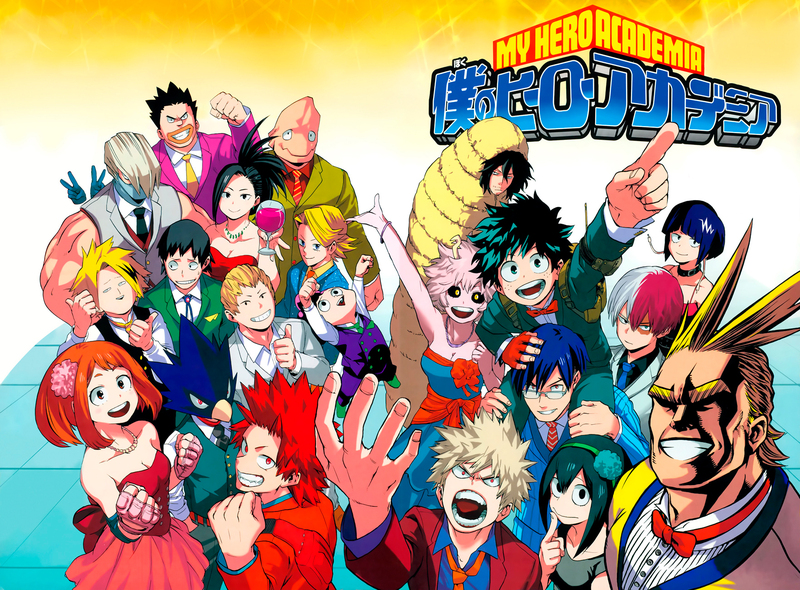 The first edition of our My Hero Academia recap and reactions column! Let’s talk about the new chapter! Welcome to the first My Hero Academia recap column! As each new chapter is released, I’ll be sharing my reactions, so be warned that there will be SPOILERS for the newest chapters of My Hero Academia as well as the series thus far. This chapter sees Class 1-A making their final preparations for their musical cultural festival spectacular! Little do they know, Gentle and La Brava plan to interrupt the festival and make a spectacle to finally get Gentle the recognition he deserves. Who should they run into on their way there the morning of, but Midoriya on his way to the festival after receiving new support gloves from Hatsume! After catching Gentle’s online videos, he quickly connects the dots regarding Gentle’s plan to disrupt the festival and the chapter ends with Midoriya staring him down and boldly telling him to stay away from the school! Remember how the previous arc was about a child-abusing Yakuza boss who was manufacturing illegal drugs to erase people’s quirks? Yeah, super heavy. That’s why I’m glad Horikoshi is letting us breathe a little after the high stakes, high drama of the previous arc. Gentle and La Brava are way more lighthearted, and I appreciate their Robin Hood-like mischief-making after all those chapters of Overhaul going all body horror on us…repeatedly. I’m excited to see exactly how Gentle’s potentially mind-bending quirk works and even though he plans on targeting the school, I don’t see him really threatening any major bodily harm based on what we’ve seen of him so far. That’s all for this chapter! Let us know in the comments what you thought about this chapter, how you’re liking the new arc, or even who your favorite characters are! Want to read more of our thoughts on My Hero Academia? Check out our review of the newest volume. Till next time, keep it Plus Ultra!